As the season of changes begins to sprout, so do home improvements. Paula and her husband George have started a new just in time. This includes doing some work on the interior and exterior of their home. What home improvements have you considered doing this summer? 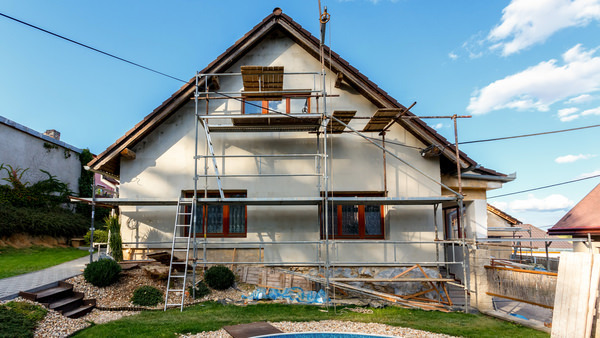 Whether you plan to do any improvements through a contractor or venture along the DIY route, there are few things to keep in mind when it comes to insurance. – First thing’s first, contact your agent before beginning any construction. Make sure your agent is aware of any major changes to occur in your home so that the right coverage is in place. – When hiring any contractors, make sure they carry insurance before the first nail is hammered. If they have multiple workers, they must carry a worker’s compensation policy. This will protect you if a worker is injured while on the job at your house. You have every right to ask if you can see a copy of the policy. – So you’ve raised the value of your home. That’s great! Does the Dwelling Coverage still match the value of your home? In other words, insuring your home for anything less than 100% insurance to value could mean you wouldn’t have enough coverage to replace your home in the event of a total loss. – The Dwelling Coverage takes care of your home’s materials, now what about your property inside. If you’ve added any major items, make sure they are listed on your property inventory so that in the event of a total loss, they could be replaced.